This Is A Short Story Of Hope ( Number 6 Of 7 Short Stories ) 1) The Happiest Man In The World 2) A Conversation: God And The Green-Eyed Devil 3) The Prince And The Miracles 4) Do You Know Life? 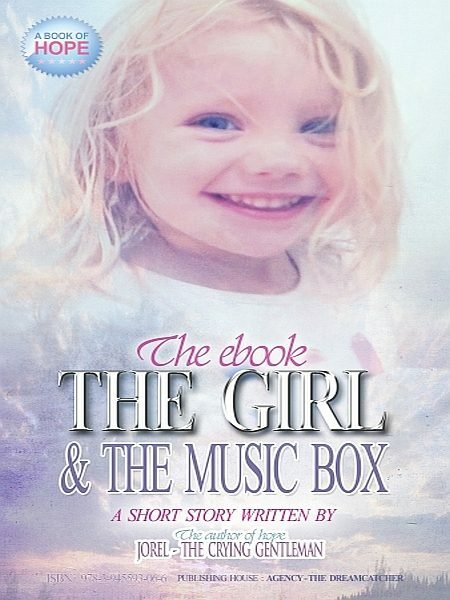 5) The Devil’S False Guise 6) The Girl And The Music Box 7) The Star That Fell In Love You Can Also Find All The Short Stories In Only One Book: "In The Name Of Hope" Written By The Author Of Hope: Jorel - The Crying Gentleman. Otros ebooks de JOREL - THE CRYING GENTLEMAN.